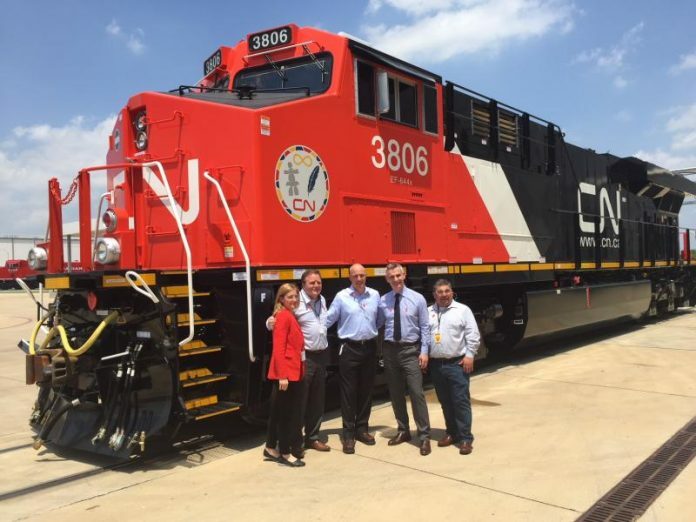 GE Transportation has announced the first of 200 locomotives being built in Fort Worth, Texas, for the Canadian National Railway (CN) has been completed. Penned in December 2017, time the deal was described as being the largest locomotive contract from a Class 1 Railroad to any manufacturer since 2014. The agreement also includes a locomotive maintenance training package, as well as guarantees for reliability, fuel consumption and out-of-service intervals related to GE prescribed field modifications. From where to where is this Canadian National Railway going to go?